Birds are the surviving descendants of predatory dinosaurs. However, since the likes of Tyrannosaurus and Velociraptor, some parts of their anatomy have become radically transformed. 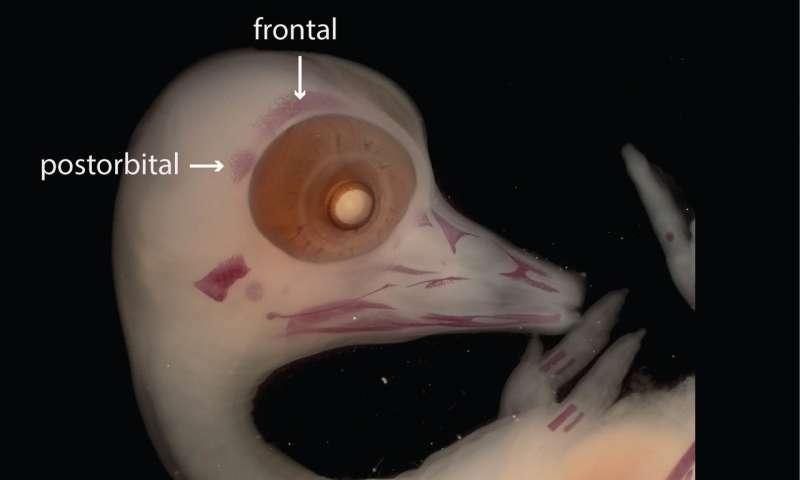 The skull, for instance, is now toothless, and accommodates much larger eyes and brain. 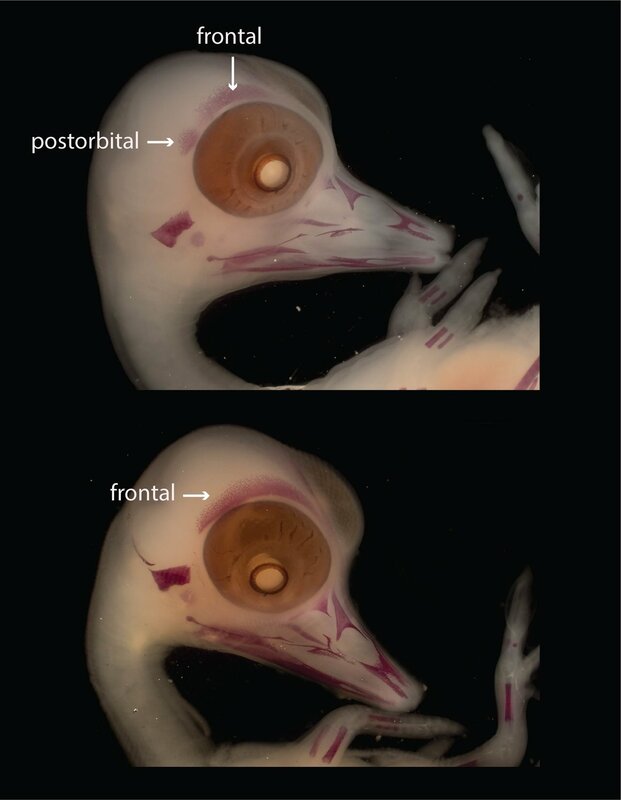 Skulls are like 3-D puzzles made of smaller bones: As the eye socket and brain case expanded along evolution, birds lost two bones of the skull that were once present in dinosaurs -the prefrontal, at the upper front corner of the eye, and the postorbital, behind the eye (See the skull of Erlikosaurus compared to the seabird Sula in the image below).